Images are worth a thousand words. Brochures never seem to have enough room to fit all that you need to say. Our photographers do great work and with their help you can redesign your company's brochures to implement these photos that speaks volumes of the quality of your company's products. Images play key roles in the promotion of products, a cost that is a necessity. 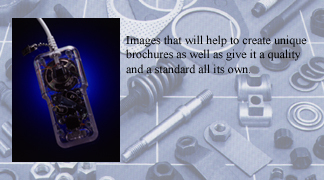 Along with your company information, we will be able to produce brochures, samples, as well as many other pieces that will be both visual and informative.